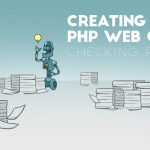 May 31, 2018 | By admin | Comments Off on Creating a Polite PHP Web Crawler: Checking robots.txt | Filed in: php. 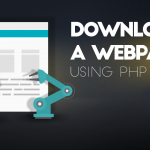 In this tutorial, we create a PHP website spider that uses the robots.txt file to know which pages we’re allowed to download. We continue from our previous tutorials to create a robust web spider and expand on it to check for download crawling permissions. 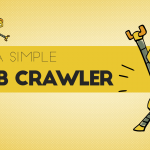 May 24, 2018 | By admin | Comments Off on Creating a Simple PHP Web Crawler | Filed in: php. Looking to download a site or multiple webpages? Interested in examining all of the titles and descriptions for a site? We created a quick tutorial on building a script to do this in PHP. Learn how to download webpages and follow links to download an entire website. May 24, 2018 | By admin | 1 Comment | Filed in: php. Looking to automatically download webpages? Here’s how to download a page using PHP and cURL.